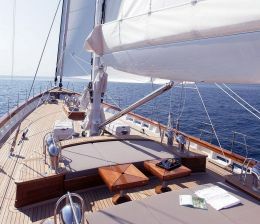 Nowadays blue voyage organizations are quite different and more luxurious than what we used to charter 10 years ago. since the new generation gulets are equipped with twin engines, generators, water makers, and very efficient air conditioners. not to mention Satellite TV , that you dont have to worry about missing your favorite game or tv shows anymore because luxury gulet charter come in with such receivers so that you can watch hundreds of channels on board 7/24. twin generators assure uninterrupted power supply of 220 V AC that nowadays 3G internet system allows you to check your mails and keep in touch with your business while relaxing on board our utmost luxury gulets. We donot charter gulets without airconditioners since july and august period are too hot and without an aircondition it would be difficult to enjoy your holiday so we assure you constant air conditioning on board our yachts. 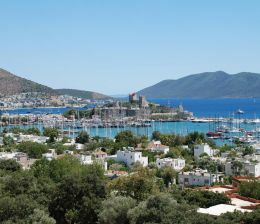 meanwhile you can check our destinations link and choose the best yachting spots in Turkey. Our well earned reputation for organizing blue cruises for rich and famous, far, how exigent you are, we always have the perfect yacht and the crew to make your holiday an unforgettable one. Our portfolio of elite luxury gulet harter offer an unrivalled yachting holiday where you can discover the natural beauty and harmony between lush green forests and turquoise waters in utmost privacy and strict confidentiality. We have a well earned reputation for organizing Blue cruises for rich and famous, Vip protocol, presidents, famous movie stars and world wide known popular bands and musicians. we cater our luxury gulet charter with strict professionalism and make sure our luxury yachts and their escorts have an awesome holiday in Turkey with elite gulets and professional yacht crew assuring 5 stars plus service to our privileged guests. Our luxury yachts are located either Bodrum, yacht charter marmaris, Fethiye, Gocek, Antalya, no matter how urgent, how far, how exigent you are, we always have the perfect yacht and the crew to make your holiday an unforgettable one. For a Gulet in Turkey with the right size and facilities that you are willing to charter, in order to google up for the right boat, just write down gulet charter in Turkey and check the alternative web sites which seems more compatible to your taste and your budget you need to go through a large portfolio of with different sizes, number of cabins and standard or luxury facilities according to your taste, previous experience or recommendations for gulet rental in turkey. We organize private gulet charter in Turkey since 1988, Most gulet owners like us who owns and operates yacht charter turkey prefer to pay a brokerage commission to make sure that we donot have to deal and wheel with bogus buyers, bogus agents or bogus clients which is frustrating. Yacht charter in Turkey as common practice for yachting industry, shipping industry or aviation industry that no one would charter their yacht, ship or aircraft to unknown private person or company instead they all prefer to work with a reputable agent and brokerage house with the repetitive clients and guaranteed MYBA contracts to avoid sour experiences or unnecessary headachesfor a private gulet charter in turkey. If you are a family or couple of friends who consider yachting vacations in Turquoise waters yacht charter in Turkey and greek islands then contact us by email let us know when and how many cabins are you considering with a budget so that we do the rest and get back to you with the right gulet with availability and best possible price in the market. You might go through amongst thousands of gulets never knowing if she is available during your charter dates and unfortunately end up with an unknown boat which you might regret for the rest of the summer or never even get your dream holiday come true. it is very important that you choose the right agent who can fulfill your expectations and that you need to how many crew will be attending , know how many hours of daily cruising with the engine , how are the airconditioning system and you need to decide whether you buy the provisions during couple of hours before departure or we replenish the provisions according to your hearts desire and present you the invoice upon arrival on board.